The Fujifilm FinePix XP130 camera features a 16.4MP BSI-CMOS sensor that makes even dark scenes bright for high-quality images. Thanks to the CMOS sensor, the Fujifilm FinePix XP130 camera can shoot 1920 × 1080 pixel full HD video. A dedicated movie recording button makes it easy to switch to movie recording mode with a single touch. Also, the camera automatically adjusts shooting settings according to the scene and features 10.0 frames per second high-speed continuous shooting. The widest setting of 28mm on the high-performance, versatile Fujinon 5x optical zoom lens is perfectly suited to close up action shots and beautiful natural scenes. Clear portraits are easy using the 5x optical zoom and you can get even closer using the 10x Intelligent Digital Zoom. The FinePix XP130 combines its 5x optical zoom with Intelligent Digital Zoom which results in double the zoom range(10x) whilst offering optimum image processing to counteract the degradation that traditionally occurs when digital zooms are used. 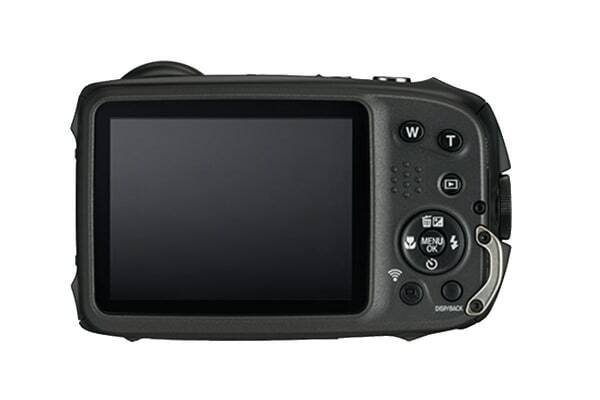 You can enable the Electronic Level on the FinePix XP130’s 3.0” LCD. This is a particularly useful function when you want to capture a horizontal subject, such as a beautiful landscape or solid architecture. The Eye Detection feature helps to capture portraits more easily by automatically focusing on your subject’s eyes. The FinePix XP130 offers the all-new Cinemagraph mode, producing still images with moving elements. Cinemagraph is a novel photographic approach that makes an image look somewhere between a still and video to strongly capture people’s attention. Record video of up to 5 seconds and specify which elements you want moving to easily create Cinemagraph with the specified elements in motion. The contrast between moving elements and the rest of the image in standstill accentuates your intended theme effectively. Interval shooting mode lets you capture multiple images of a scene taken at set intervals. Capture a beautiful sunrise or clouds moving through the sky and the new “Time-Lapse Movie” feature will automatically turn these image sequences into a movie clip showing the passing of time. Simply select “Still image + Movie” for interval shooting settings. Of course, the still images from the conventional interval shooting can also be saved. The speed can be altered by selecting the video frame rate from 10, 30 and 60fps, with multiple video sizes including Full HD. Activate the continuous low energy Bluetooth connection using your smartphone or tablet device to share images from the camera to your device. Wireless transfer is also available for the Instax SHARE printer, allowing you access to instant prints wherever you are. Integrates four rugged protection features: Waterproof to 20m, freeze-proof to -10°C, shockproof to withstand drops from 1.75m and dustproof to keep out sand and other foreign particles. 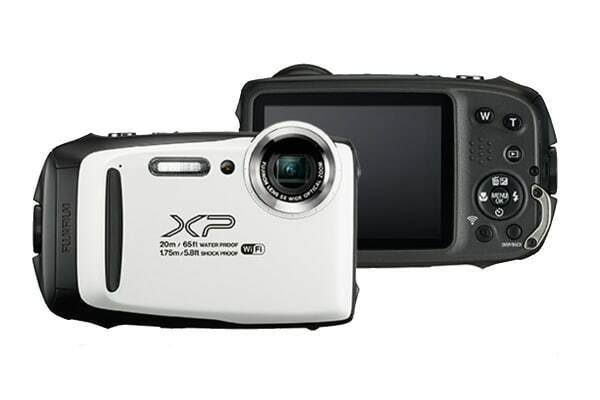 The Fujifilm FinePix XP130 is the perfect companion for your next adventure!